I got this email from a friend. At first, I thought it was just another email about God. But then, I found out that it was not. It was a video about conversation with God. The answers that God gave were amazing. The advices that He shared were deep. And most of all, His presence was eternal. 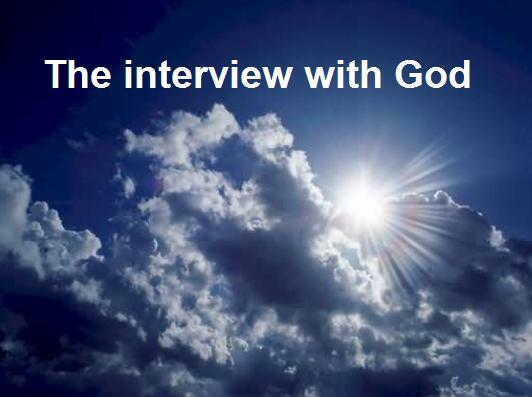 It was really the interview with God. I have been joined the Catholic Charismatic for 4 years and it’s been a life changing. The way I see God’s presence and His works upon my life has been changed. I also learned a lot about Bible and its meaning. Well, bible it’s not merely words written, but it has a deeper meaning than that. It contains the God’s words and the stories of the ancestors who lived their lives in front of God. Sometimes they fell into temptations, but God forgive them, as He would forgive us when we repent. Anyway, Christmas is coming soon and I’m so excited. I used to celebrate Christmas as part of tradition, but now I can feel it differently. The way I see Christmas has been changed since 2006. I perceived Christmas as a time when our Savior comes and forgive us for our trespasses. He gave me a new life since I received my Penitence Sacrament that year, with Fr. Pachalis O. Carm. Awesome, right! So, watch the video … and feel the presence of God! Be blessed!